When deciding which metrics are the most important in evaluating your content performance, are you looking solely at session length and the number of visitors you’re getting? Or are you going deeper and evaluating the point at which people start dropping off? Every marketer has different priorities when it comes to the way that their user base behaves and how well content performs with them. But the current trend in those actionable insights? Taking a “less is more” approach with rich media. It was commonly thought that 600 words was the sweet spot for blog post length for the longest time because it gave readers enough content to consume without totally overwhelming them. Then the average word count kept rising as long-form content started to demonstrate more traction, particularly in the B2B content sphere. But times are changing and just as search engines have grown up and moved beyond the type of single-string searches that led people to pages optimized for that single string alone, the same is true for how people search. Search engines are still outpacing social media by accounting for 35% of site sessions compared to social’s 26% but social searches are still showing a year-over-year climb. Subsequently, mobile searches now make up 51% of all searches. Desktop searches are still of great significance at 44% of all searches, but this shift to mobile has now led to Google and other search engines doing mobile-first indexing. People consume content differently on mobile devices than they do on computers. Those long-form reads exceeding 1,000 words? Great for perusing over breakfast at the office, less so on the morning commute. As for what this has to do with content performance, evaluations need to become more fine-tuned to see where referrals are coming from and what devices are most common among your user base. 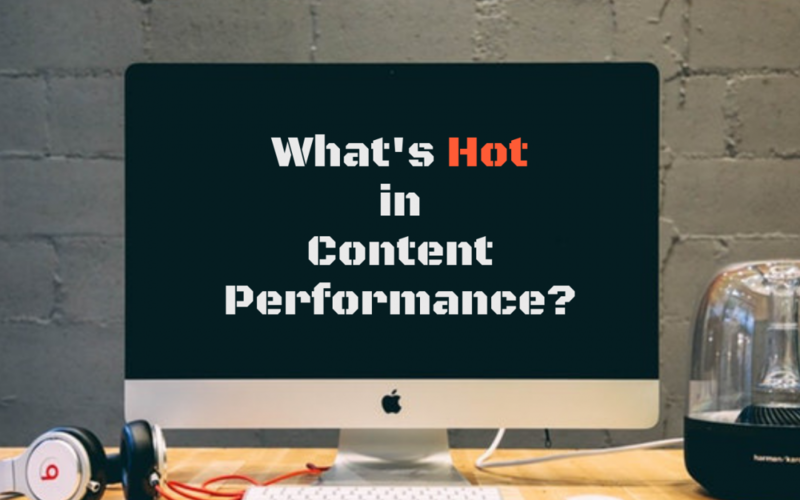 If long-form content is showing a drop in performance, have your content writers go shorter and use rich media like videos, GIFs, and high-quality images to break up the text. If your social referrals are outpacing search, your performance can improve by taking a social-first approach and making your content as shareable as possible by including sharing buttons near images and videos and optimizing them for mobile viewing. The bottom line: always create and optimize short-form and long-form content that best resonates with your audience, no matter how/where they’re consuming it!